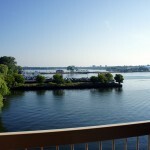 The view from my hotel room overlooking the Wolfe Island Ferry and LaSalle Causeway in Kingston. 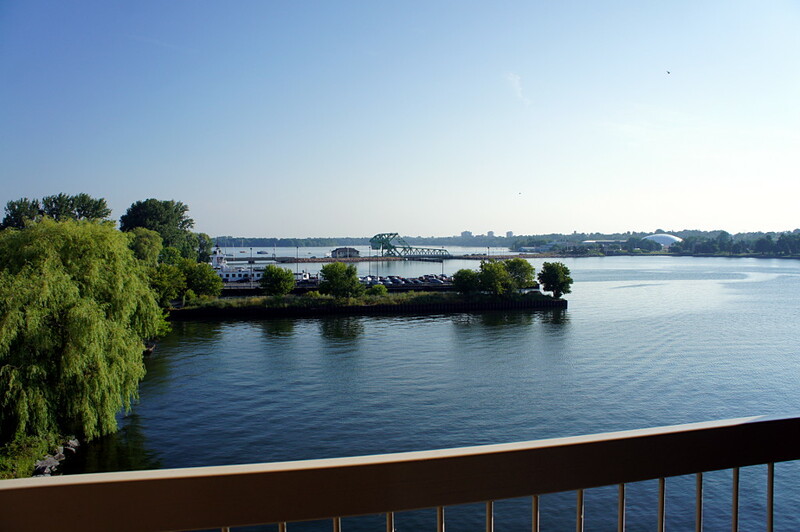 This is where my trip began. 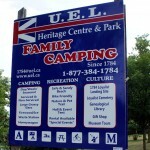 I expected the sign for the Millhaven Penitentiary to be a little more formal. 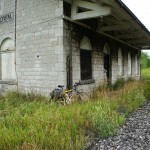 Pausing for lunch at the Ernestown Station. 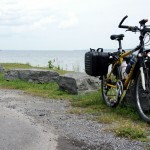 Away from the asphalt and concrete roads, this was the coolest (but still very hot) place all day. 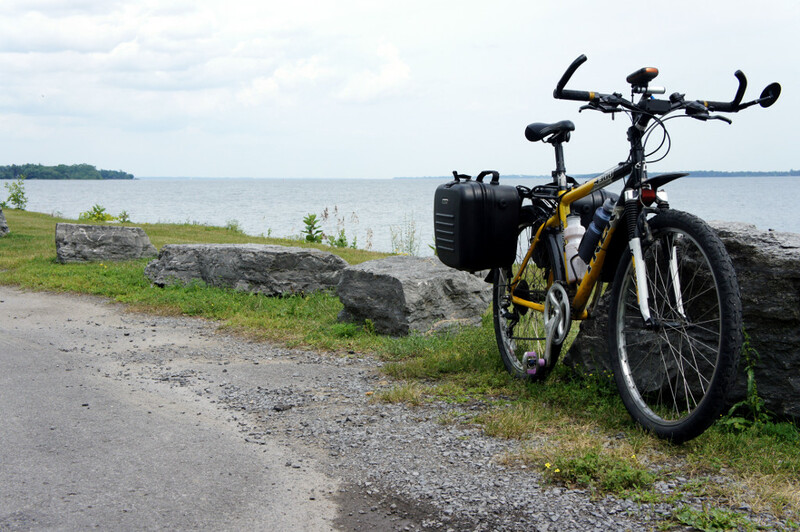 Taking a break at Finkle's Shore Park on the Loyalist Parkway. 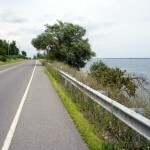 When they say that this is a shore road, they're not kidding. 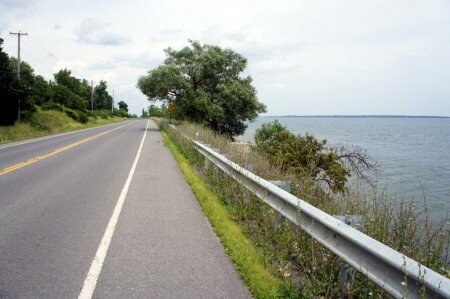 There's basically nothing between the road and the water except that guardrail. 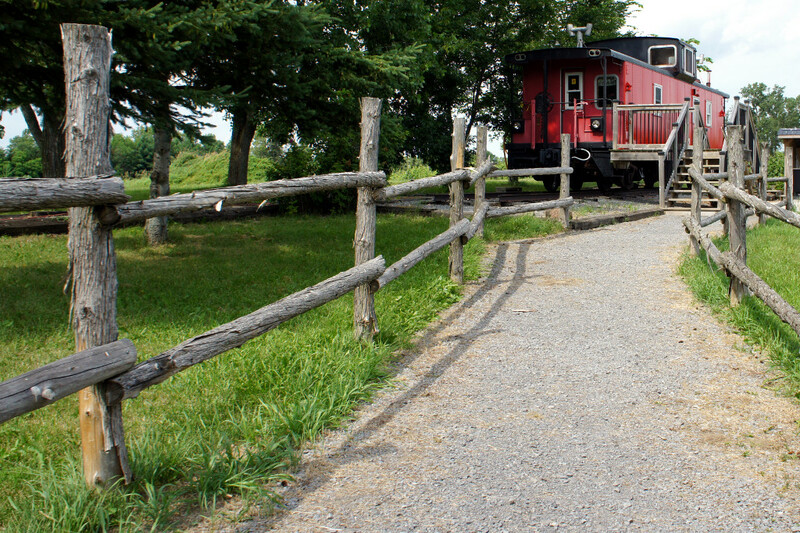 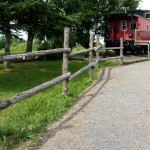 The 33 Vines Winery in Adolphustown uses an old caboose as a tasting room. None for me today, thanks; I'm the designated rider. 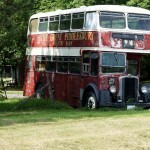 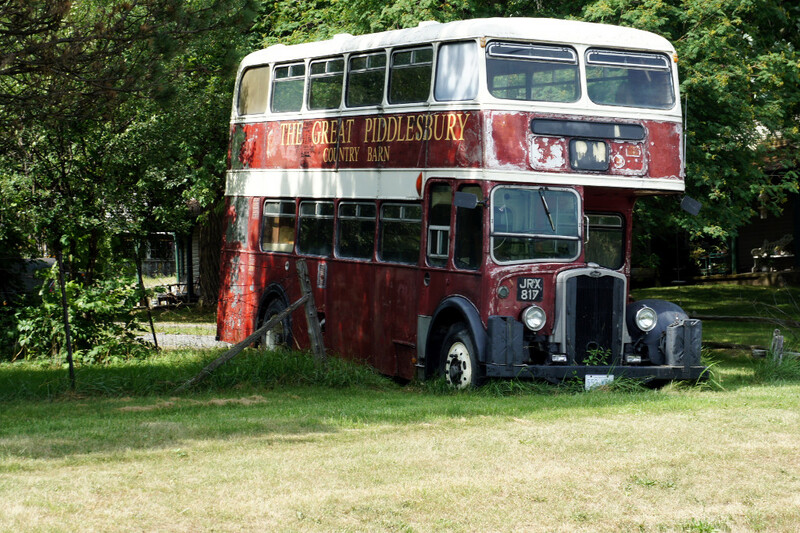 A little farther down the road, The Great Piddlesbury Country Barn bus sits on the lawn in front of its eponymous barn. 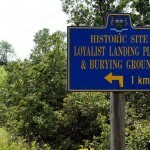 Some Loyalists venturing into Upper Canada obviously didn't make it very far if they landed and were buried in the same place. 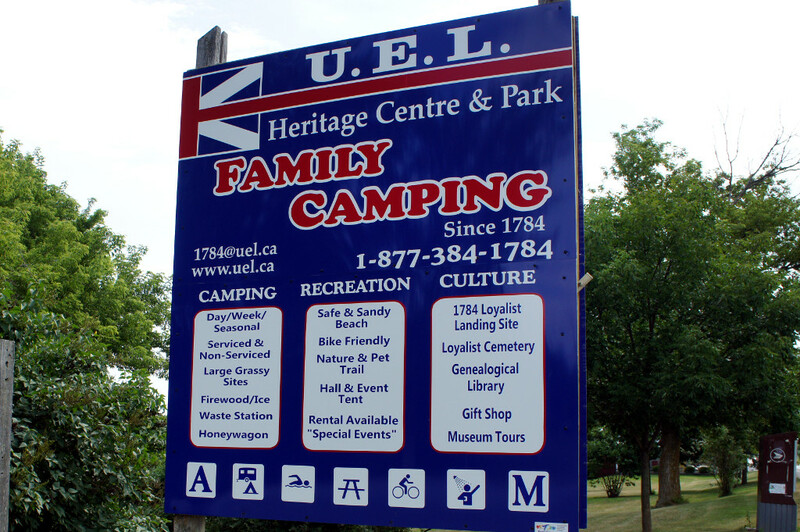 The United Empire Loyalists Heritage Centre located at the Loyalist landing place and burying ground advertises "Family Camping since 1784." 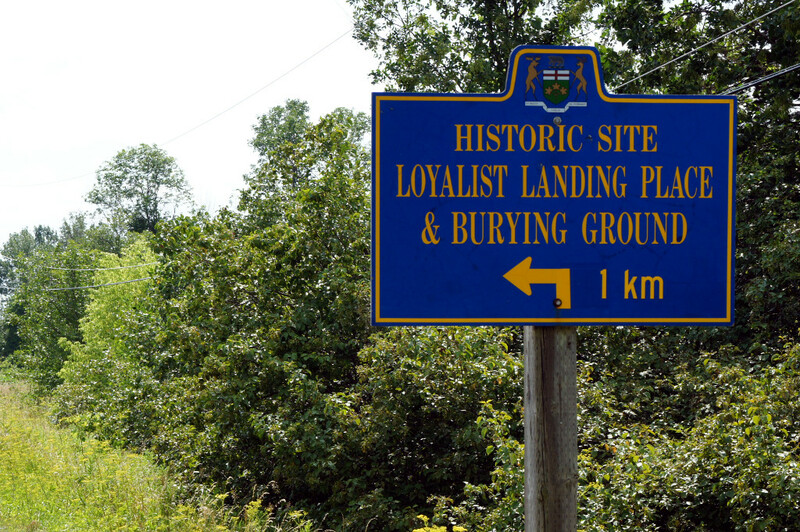 Loyalist humour. 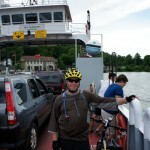 The Glenora ferry pulls into, uh, Glenora, with one broiling cyclist happy to be out on the water for a few minutes. 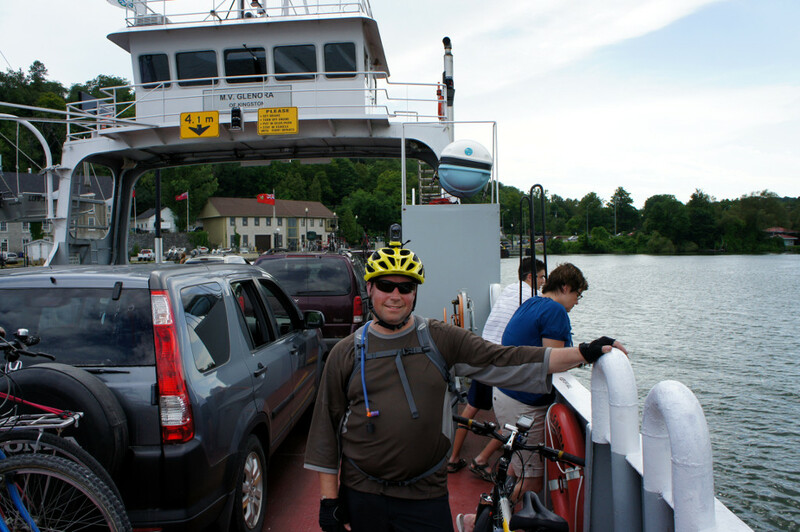 By this point in the ride, I desperately wanted to get to a cooling shower, so I put the camera away after I got off the ferry and sped the rest of the way to Wellington. 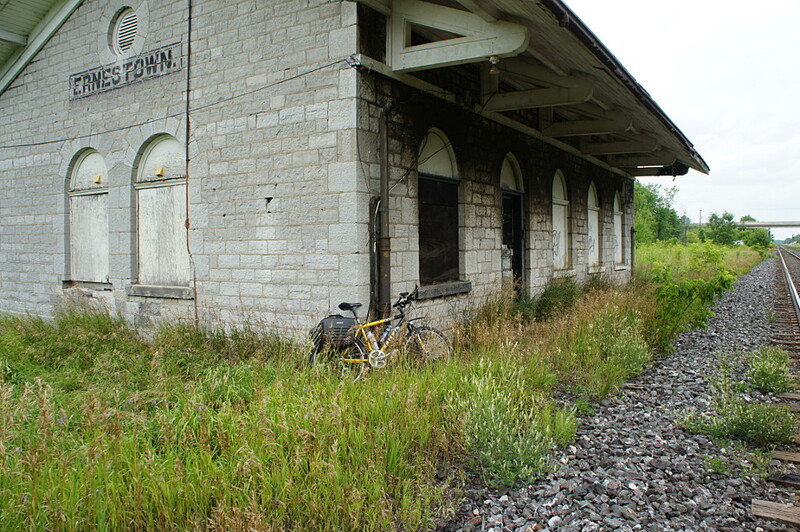 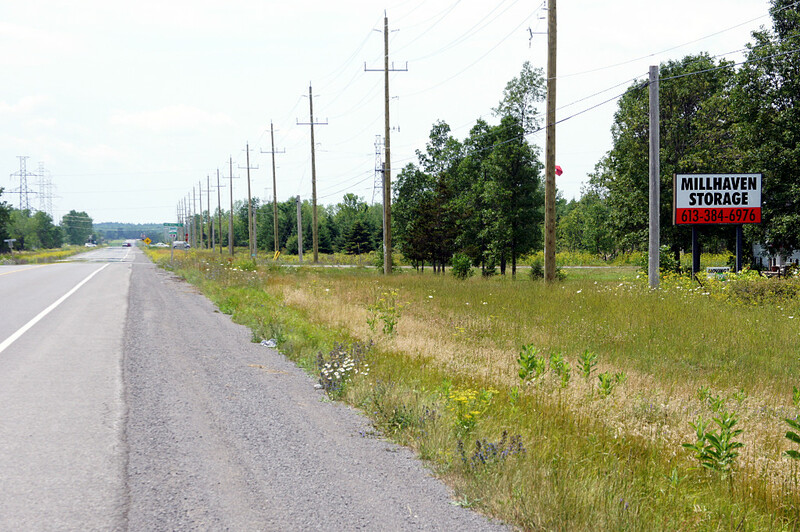 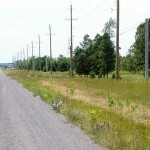 Next → Next post: Kingston to Cobourg, Day 2: Blow the man down!